Be roman when you are in Rome. I decided to try some Vietnamese food, which is very rare to get somewhere else. I tried many things but most difficult was to eat snake and balut. 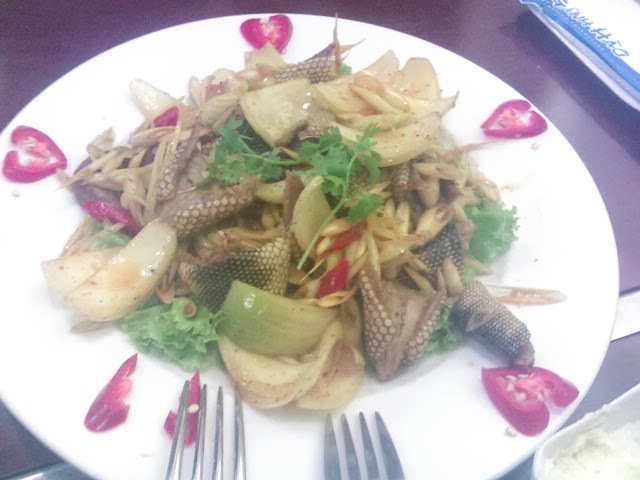 It was surely crazy idea to think about eating snake. I am not sure how i got temptation to do that may be because of watching many daring videos on youtube. 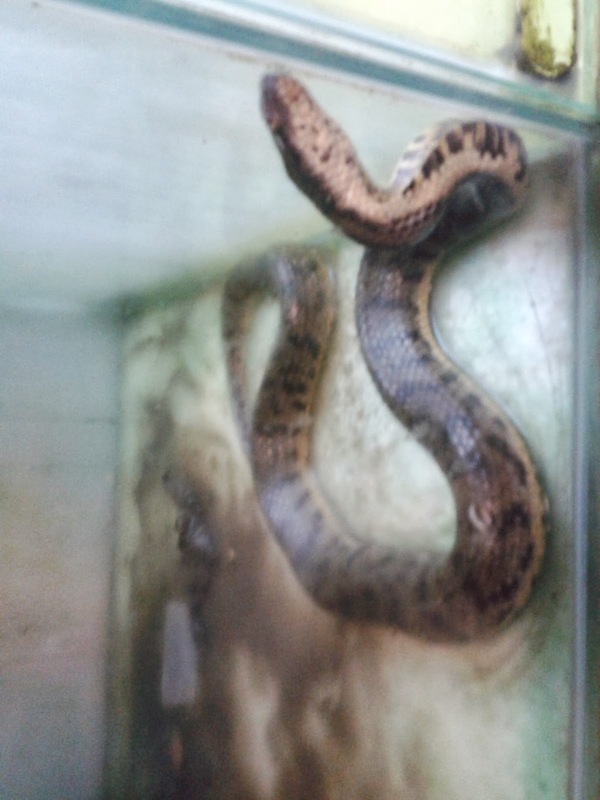 I ordered seas snake in Ganh hao restaurant in vung tau.After half an hour lady from the restaurant brought alive sea snake in a bucket and told me to take snaps. It was moving very slowly in the bucket and was bit afraid to see it. She asked me how i wanted the snake to be cooked. Knowing nothing about it i showed her some picture from the restaurant’s menu. After she left i regret my decision to order snake. I have seen enough discovery channels about sea snake that they are one of the most venomous snakes in the world. I though of not having it but it would have been waste of 300,000 dong and my aspiration. I said myself let whatever happens happen. After another half an hour of waiting She brought my dinner I have to admit that it was very beautifully served with red chilies and onions. I saw my plate very carefully and can still see scale on the small piece of snake. So finally i had my first peg of Hanoi vodka in years and one piece from my plate. 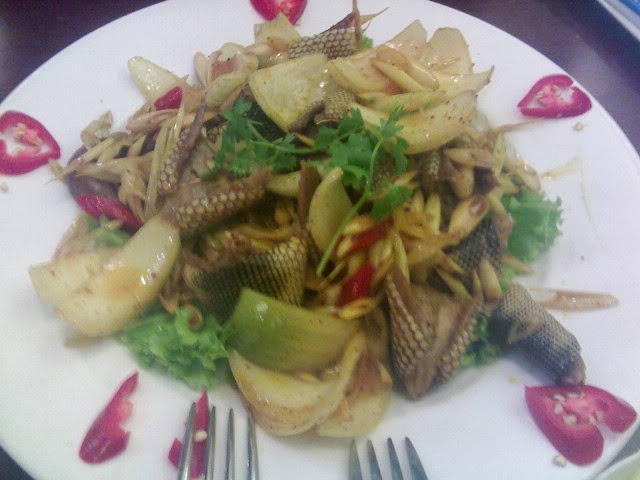 Yummy, it was good, taste was very similar to salty fish. Finally one by one i finished the plate. 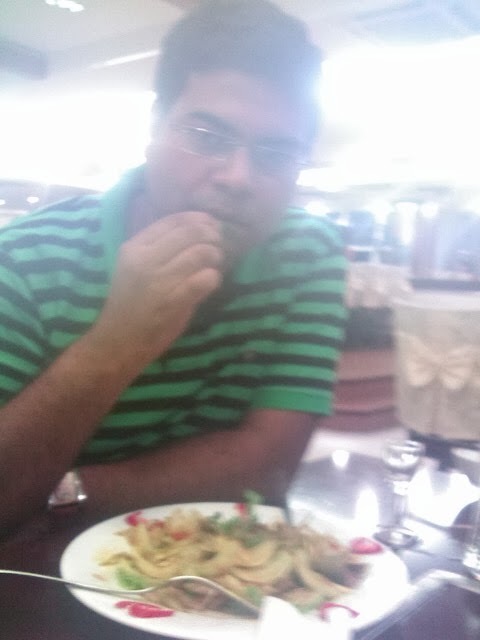 While coming out from restaurant i was thinking what will happen if I had small amount of poison along with snake pieces. Next day my friends told me that snake meat is good for MEN :). Balut (Fertile duck egg) was most disgusting thing i aver had in my life. It is not because of its tastes but because of appearance. Le Huy (My Vietnamese friend) told me that here Balut is given to kids in dark night so they can have it without looking inside the egg. After eating few times they love it so much that they do not care to look into it. Unfortunately he did not tell me this story before, once i look inside the egg it was almost impossible for me to eat. I took small portion from egg and while having i looked at the small developing duck embryo hick inside. I was about to vomit and manage the situation by drinking some sugarcane juice. It took me almost half an hour to finish one egg. I never had Balut again.